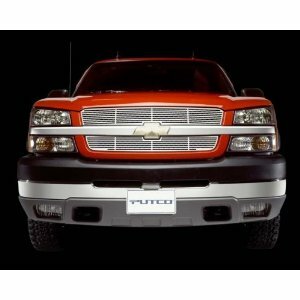 Putco Blade Stainless Steel Grilles offer a combination of functionality and style, by providing protection to the front of your OEM grille from bugs and debris. Mirror-finish NeveRust stainless steel provides ultimate durability and long lasting good looks. They can be easily installed over the original grille without any cutting or drilling. Best prices, fast shipping, good service. Thank you!